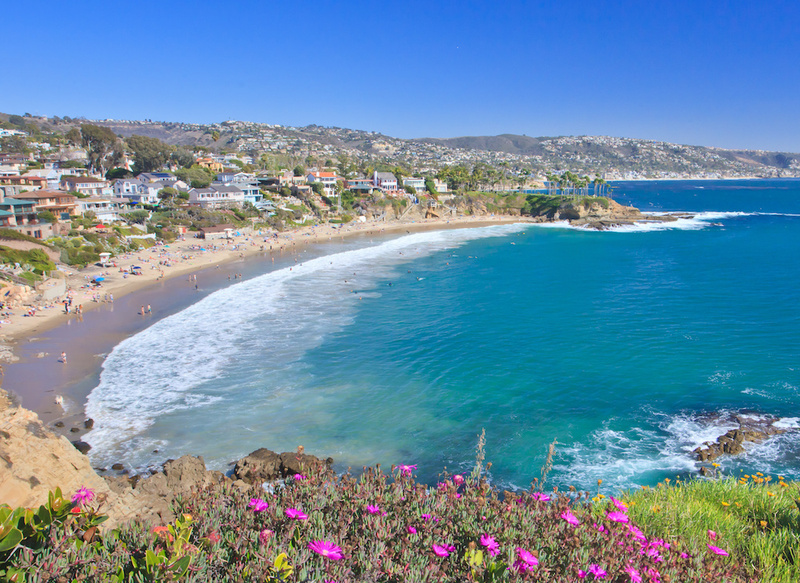 Southern California is famous for its nearly Mediterranean climate. It’s warm and dry in the summertime and it’s cooler, with mild temperatures during the wetter winter months. It’s rare to find freezing temperatures in this region, even in the winter months. The fog is legendary and will frequently hug the coastline from Monterey to the northern regions. However, it will burn off around midday and start rolling back in around dusk. When you go inland, the summers become hotter and drier. The higher you go, the more likely you are to run into all four seasons. January and February will still offer highs in the 60s and you’ll find that the 70s are still offering summer warmth in the autumn months. If you’re visiting Orange County Southern California, you may wish to know ahead of time the top attractions and hotels to visit. Here you’ll find a variety of things that you can do with or without children. OC Fair & Event Center – The Orange County Fair is always a hit with families! It’s 150 acres of pure fun. With tons of different types of food, events, and rides, it’s a must-visit for Orange County residents and visitors alike! Check out the OC Fair Facebook as well for details on different events going on. Disneyland – No trip to Southern California would be complete if we didn’t mention Disneyland. Family-friendly there are several hotels that service the theme park and will keep you in the mode of having family fun. Downtown Disney also offers a great variety of shopping, mariachi bands, food, and fun. Whale Watching – There are several Dana Point Whale Watching cruises that are available. You can readily find these online and book in advance. Be sure that you read all of the details carefully and plan ahead for inclement weather. It can get cold out there on the water. Water Parks – There are several different Orange County water parks that you can enjoy as well. Here you can take advantage of the lovely weather and enjoy a day sliding down water slides, sitting by a wave pool or simply relaxing and watching the kids. Sport Fishing – Sports fishing is another great pastime that many enjoy when visiting the region. Book your trip in advance and make sure that you have all of the right licenses in hand. Museums – If these aren’t to your liking, consider visiting one of the many museums. Whether you prefer modern art, retro, ecology, marine life or something else, you’re sure to find a museum that will interest most of the people in your party. Hiking – There are some great nature and wildlife preserves that offer a variety of interesting animals to view. You’ll enjoy up close and personal encounters, as well as long distance, encounters with these great venues. Music/Concerts – If you’re into music, you will find that there are many great venues for concerts and symphonies. From classical music to rock and everything in between you’re sure to find something to your liking. There is a variety of three, four, and five-star hotels that are readily available for reasonable prices in this region. Plan your Orange County hotel out according to where you plan to visit or by your choice of stars and you’ll have a great time. Many of the above-mentioned attractions are located near some of the best hotels in the area. Don’t be afraid to book a hotel and ask about local attractions nearby or go the alternate route and book your attraction visit and find out what hotels are nearby. Either way, you’re sure to enjoy your visit and find some great deals. Often hotels will give you discounted tickets for local attractions and sometimes the attractions will give you discount tickets for the hotels. Either way, it’s a win-win situation for you when you visit. Book early and find out if there are any discounts for the best deals. Keep in mind that peak seasons often cost more than off-peak seasons. Whether you’re visiting Disneyland and booking a hotel nearby or visiting a museum and booking a hotel nearby, you’re sure to find some great deals. Always take the time to plan ahead and call around for deals. You can find great Groupon deals online and make a phone call to ensure that they are available on the dates that work best for you and your family. Don’t be afraid to ask if they have any upcoming specials. Sometimes they will tell you before a special is advertised and you can take advantage of this and save a lot of money. Keep an eye out for deals and steals and use coupons when you find them to make your trip even more affordable and you’re sure to have a great time. Now that you know that there is so much to use in the area, you’re sure to want to get started on planning your next vacation. Remember, the sooner you begin planning, the sooner you can go. Call today and make your reservations for the attractions that you wish to visit. By booking in advance you can save hundreds of dollars.